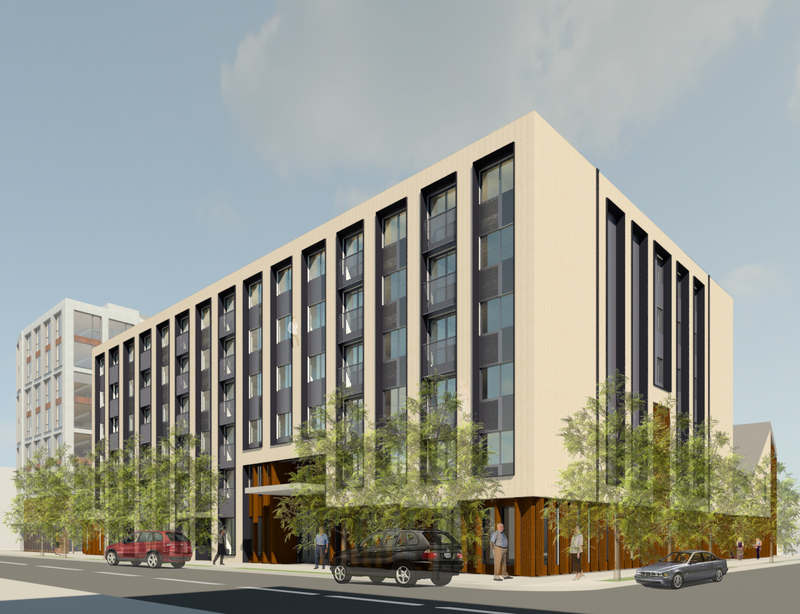 This entry was posted in 1337 E Burnside, 4130 SE Division, 431 NE Church, 815 W Burnside, Ankrom Moisan, Baysinger Partners, Division Two Apartments, Encore Architects, GBD Architects, Jantzen Apartments, Metro Reports, PATH Architecture, PCC Child Development Center, SERA Architects, The Canyons. Bookmark the permalink. I thought Division St was “the Canyons”! We’re building away out here (8 projects between 28th and 33rd) to retain that title! One thing is really perplexing to me about The Canyons. The internal ped path that provides access between the larger and smaller buildings – it is wedge shaped with the narrow end of the wedge pointing south to the street. This seems like a poor choice for two reasons: it’s not good from a safety standpoint, and it minimizes solar access. You’d think you’d want to have the wide opening where the sun is.